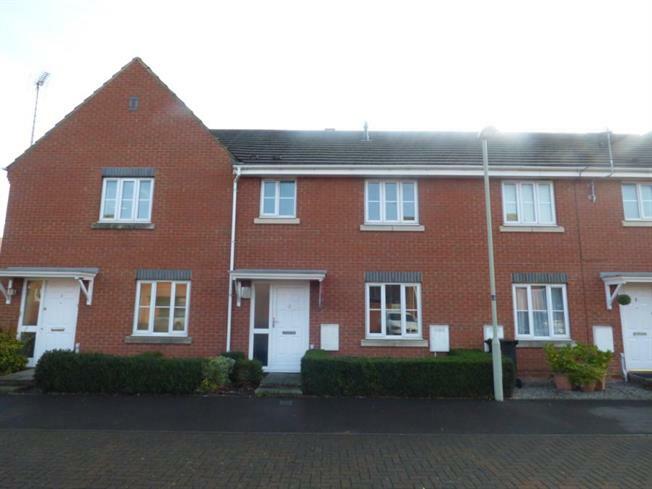 3 Bedroom Terraced House For Sale in Swindon for Offers Over £220,000. A spacious three bedroom house situated in a quiet position within the highly sought after area of Stratton St Margaret. The property is extremely well presented and briefly comprises of entrance hall, cloakroom, kitchen, living room, dining room and three generous bedrooms with en-suite to the master. Externally the property benefits from a good sized rear garden and parking for two cars directly to the front. Viewing is highly recommended. Please call 01793-611984 to secure a viewing. The property is located in Stratton St Margaret which is a highly sought after residential area situated to the East of Swindon. Within walking distance are a range of local shops and amenities including a Doctors Surgery and pharmacy. There are a number of well regarded schools for all age groups within close proximity including Grange Infants School which is just a stones throw from the property. Greenbridge shopping centre is approximately one mile away and offers a wide variety of shops, restaurants and a cinema complex. The property is excellently positioned for access to the A419 and junction 15 of the M4 and provides great transport links.